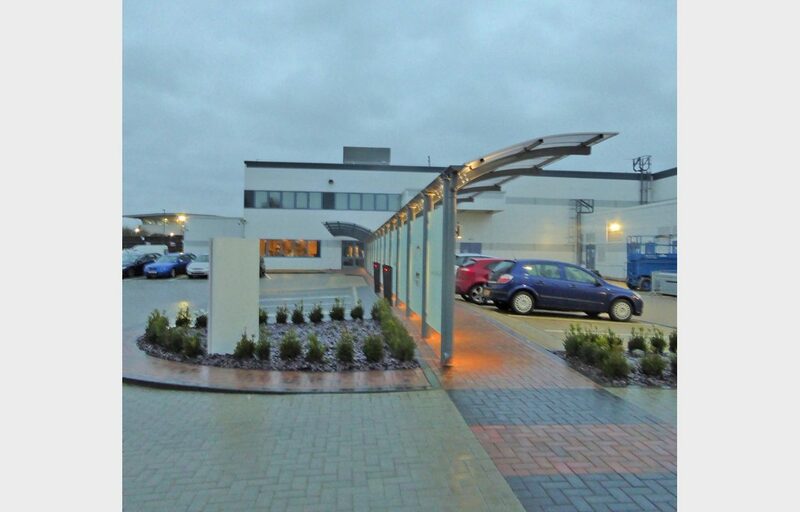 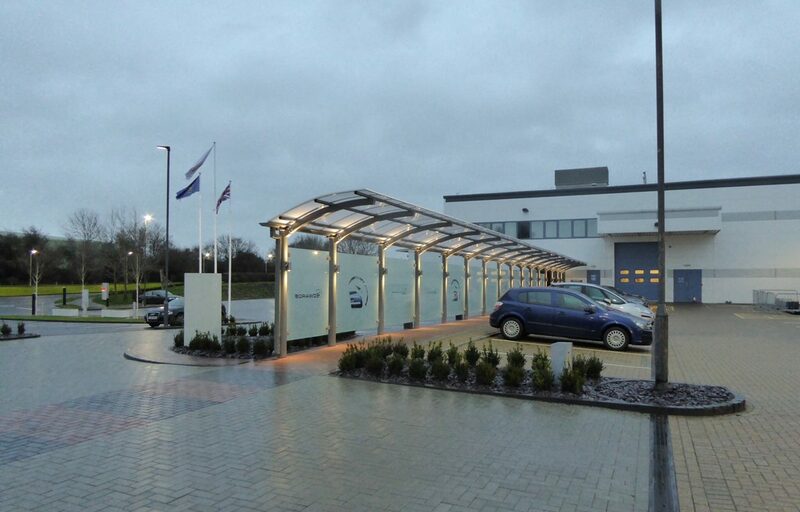 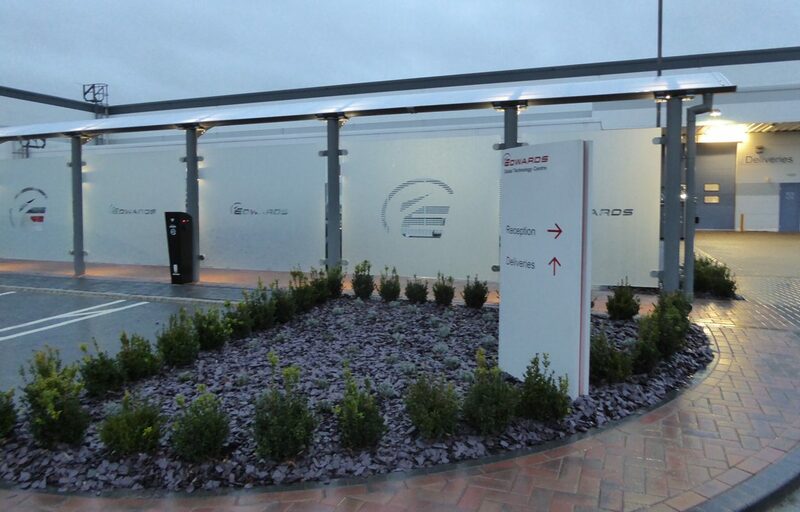 Bespoke walkway designed and built for global engineering company. 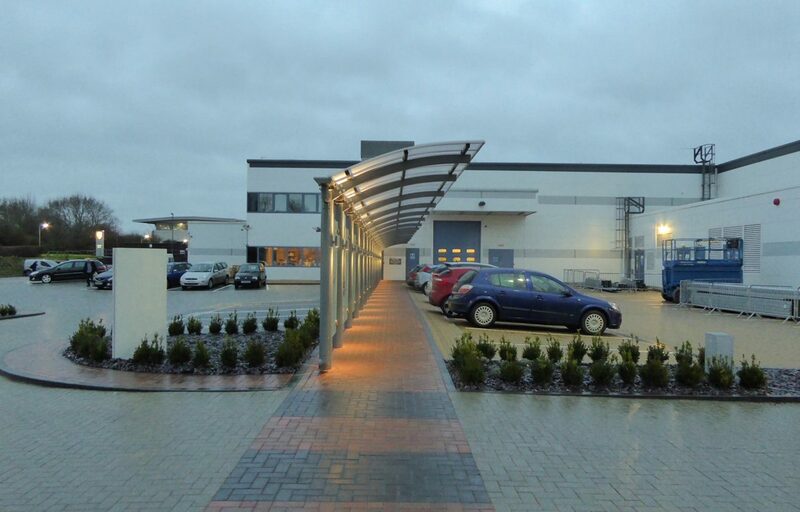 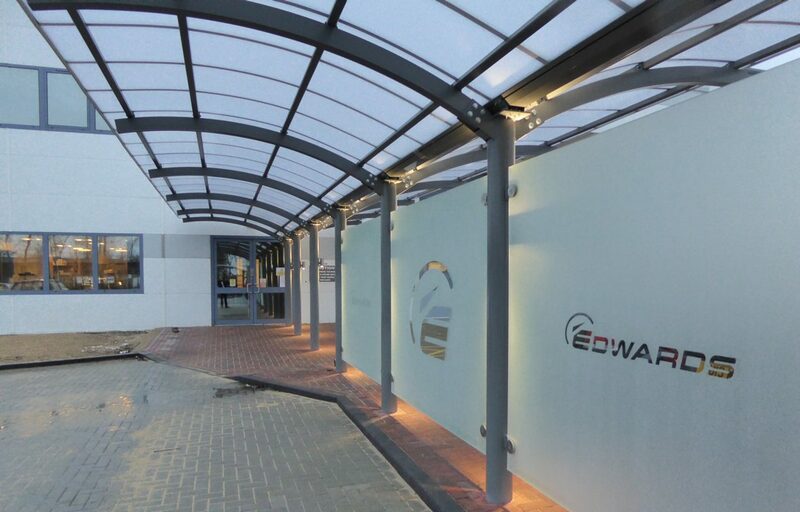 Fordingbridge recently installed this 80m steel walkway for the global vacuum engineering company Edwards. 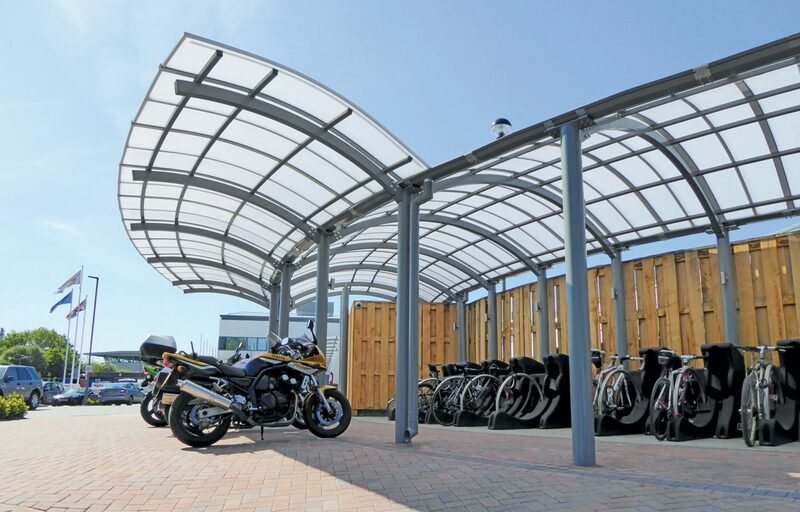 The structure comprises of a series of cantilevered, gullwing and box hoop walkways to ensure a safe passage for visitors and staff. 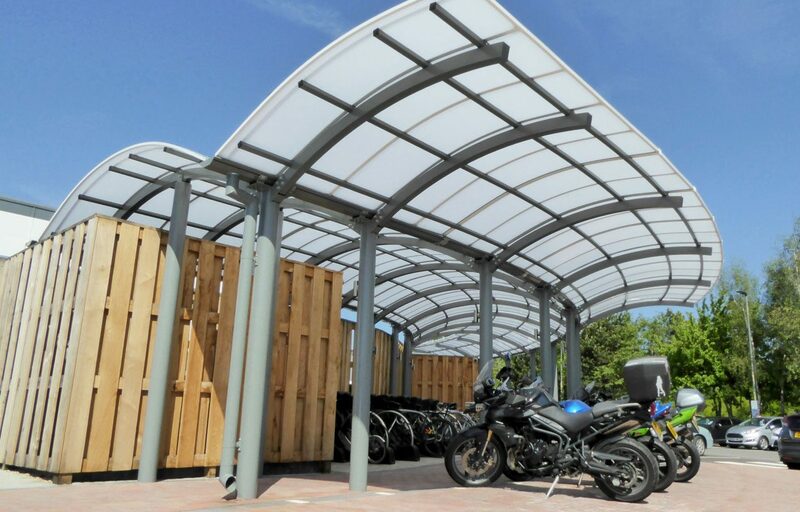 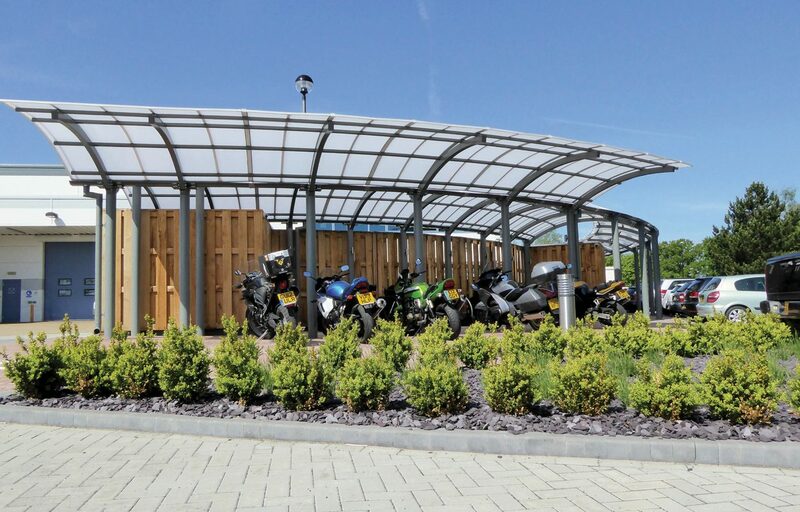 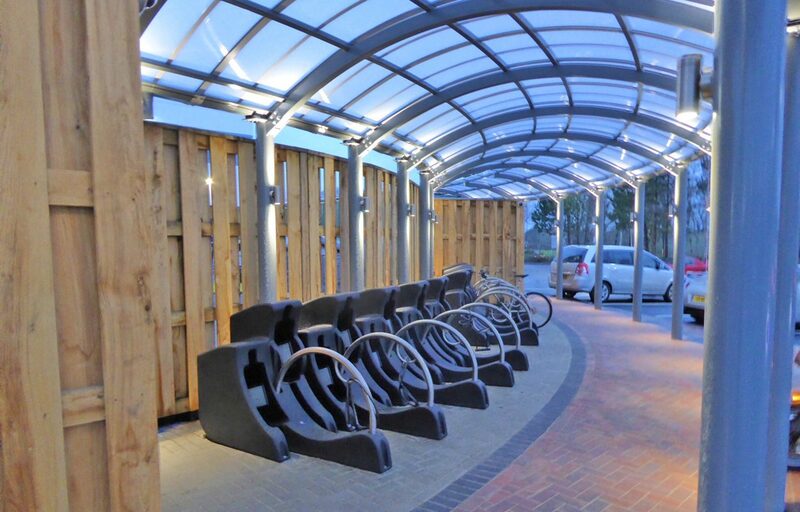 The design also allows for motorcycle and bicycle storage at different locations under the walkway. 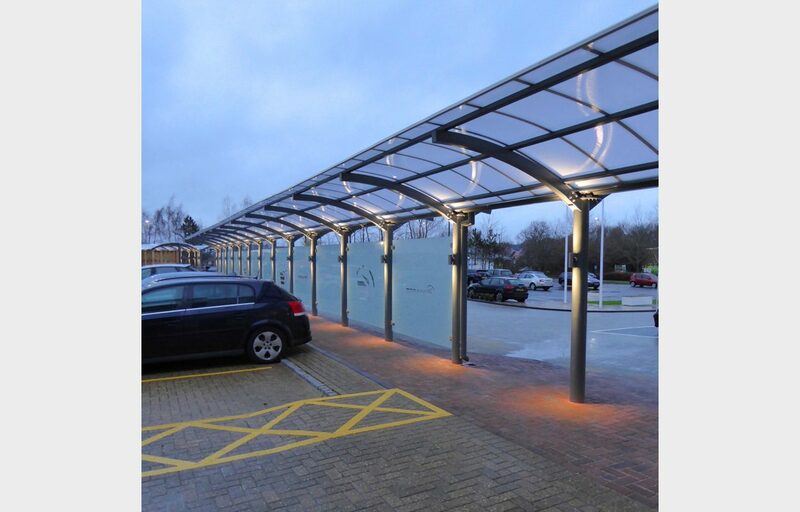 The polycarbonate roofing system is accompanied by glass side panels etched with the company’s livery. 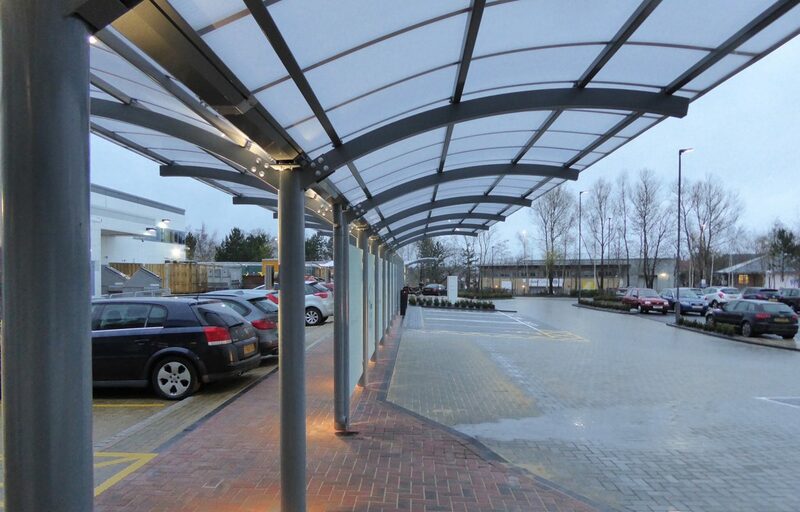 The CE marked steel structure, which has a guarantee of 25 years, was finished in a polyester powder coated finish.